I don’t really think of myself as a forecaster. I talk about the future all the time, of course, and I tell you what I think is coming – but whether it will arrive next month, next year, or five years from now is a different question. Timing is hard. So, when I write annual forecast letters like this one, I put some extra pressure on myself. In addition to identifying the macro forces in play, I try to anticipate when we will see their impact. That’s never been easy, and it seems to get tougher every year. But inquiring minds want to know, so here we go. First, a brief message. If you missed my email on Thursday, I want to be sure you know that the Alpha Society is now accepting new members. The Alpha Society is one of my happiest achievements, and I’m excited to see it growing. When I started writing Thoughts from the Frontline almost two decades ago, little did I know that it would quickly garner a “tribe” of curious and thoughtful readers. Getting to know you has been an amazing honor. The Alpha Society is really an extension of that relationship – it’s for those of you who simply want more. More intellectual stimulation, more communication with people who thoroughly enjoy debate and discussion, more opportunities to talk to me and the Mauldin Economics editors. The driving goal behind the Alpha Society is to enrich your world and the world at large. Is that a lofty ambition? Yes. Is it achievable? Absolutely. If you have time today, please take a look at your invitation. It’s also worth mentioning that your membership fee may be tax deductible, so if you want to apply it to 2017’s return, now is your chance. As you probably recall, I’ve long criticized the economics profession for its ambition to be a “hard science” like physics or chemistry. I think the global economy is far too complex and far too dependent on irrational human behavior for that ambition to be realized. However, there are some occasional similarities. 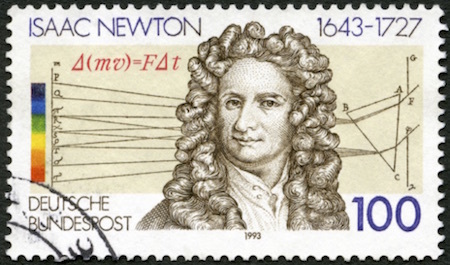 An object at rest stays at rest, and an object in motion stays in motion, with the same speed and direction, unless some other force intervenes. In similar fashion, an economy that is moving in a particular direction will probably continue in that direction until something makes it change – either the forces that put it in motion lose strength, or other forces counteract them. My friend Sam Rines gives us a wonderful illustration of that basic principle. The following is a graph of nominal GDP growth for the last six years. Normally, when we talk about GDP numbers, we talk in terms of real GDP, or GDP with inflation backed out. Even though there are various measures of inflation, real GDP growth measures the actual buying power of your dollars. There is a great way to illustrate the difference between real and nominal GDP growth. If you bought the S&P 500 Index in 1966, it was 16 years, until 1982, before your nominal dollars recovered. But, taking account of inflation, it was 26 years later, or 1992, before you saw any increase in your buying power. Not exactly what your financial planner was forecasting for you in your retirement plan. Using the average market returns for the last 80 or 100 years to forecast your returns for the next 20 years, or until your retirement, is both foolish and dangerous. Forecasting what your portfolio will look like in a reasonable length of time, say 10 or 20 years, all depends on your starting point. If you happen to be part of the demographic that allowed you to start in 1982, you look brilliant. If you began in 1966 instead? Not so much. 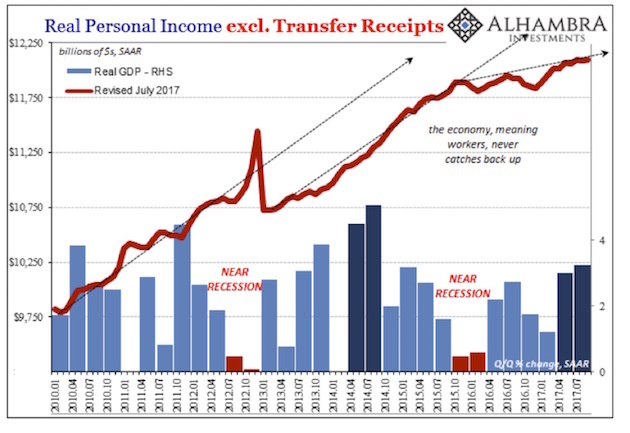 But real personal income, while it has grown modestly over the last seven years, has begun once again to flatten. This chart courtesy of Jeff Snyder at Alhambra. But I will lean on our law that objects in motion tend to stay in motion for my 2018 forecast. I think the US economy will maintain its current slow but steady growth, because no greater forces are likely to stop it. But of course I have to add an asterisk, which we will get to in a bit. I don’t mean to suggest that no other forces exist; they certainly do. But as we’ll see, they will either balance each other so that there is no net change, or they will come at us from outside in unpredictable fashion. I am not, however, predicting smooth sailing for the stock market. The economy and the stock market are different animals. The equity markets face serious challenges and will endure a reckoning at some point, but I don’t think it will happen in 2018. In fact, 2018 could be our last calm year for some time, so we need to use it constructively. Before we get into 2018, let’s quickly review how we got here. In response to the 2008 financial crisis and the recession it sparked, the Federal Reserve and other central banks deployed zero or near-zero interest rates, quantitative easing, and assorted other interventions. These may have averted an even worse disaster, but their impacts were far from ideal. Nonetheless, the economy slowly lifted off as consumers rebuilt their balance sheets and asset values rose. The asset values climbed in large part because the Fed practically forced everyone with money to invest it in risk assets: stocks, real estate, corporate bonds, etc. The resulting wealth effect theoretically enabled more spending, at least by those in the top income quintile. The recovery has been slow and ugly, and too many people still don’t feel the progress. The Fed’s trickle-down monetary policy hasn’t really worked. (I note with some irony that the same economists who espoused what can only be called trickle-down monetary policy scoffed at Reagan’s trickle-down fiscal tax-cut policy. There is essentially no difference between the two, except the source of the funds.) Those who gripe about income inequality actually have points to make. Even if you filter out the top one half of 1% (the tech billionaires, Warren Buffett, et al. ), there is still a large imbalance in how much the top and bottom earners have benefited from the Fed’s lopsided monetary policy. 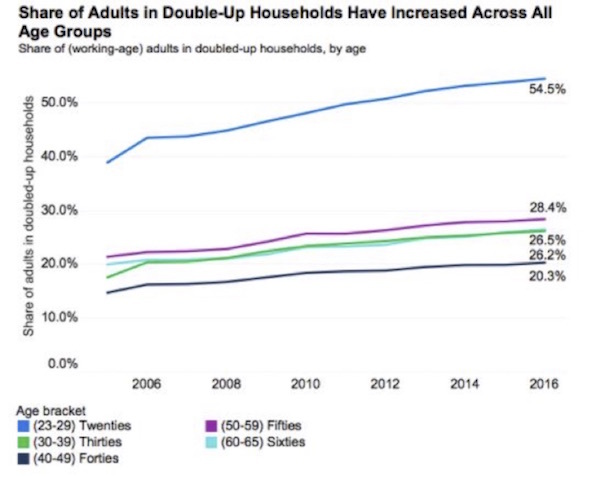 The chart below, based on data from Zillow, shows that the share of unmarried adults in double-up households has increased in all age brackets, and especially among Millennials. Having a few Millennials in my own family, and even some young Gen Xers, the need to double up is readily apparent to me. Rents are just too high for the average person. Also notice that nearly one in three people between ages 50 and 59 is living with someone else in order to save on rent and other expenses.. Furthermore, nearly 5 million Americans are in default on student loans. Is it any wonder people are doubling up on their housing? Now the Fed is slowly reversing its stimulus measures, both by raising short-term rates and by letting its bond portfolio shrink as it matures. Both measures have a tightening effect on an economy that isn’t growing remotely as well as it has in past recoveries. So why is the Fed doing it? Because the FOMC members fear inflation will take hold if they do nothing. I think they are probably wrong there, but my opinion isn’t factored into their models. In other words, my #1 risk factor for the US economy in 2018 is Federal Reserve overreach. I think there is a significant chance that their anticipated inflation will not appear and the Fed will tighten too much too soon. Frankly, the same risk applies to Europe as the ECB significantly reduces its quantitative easing. 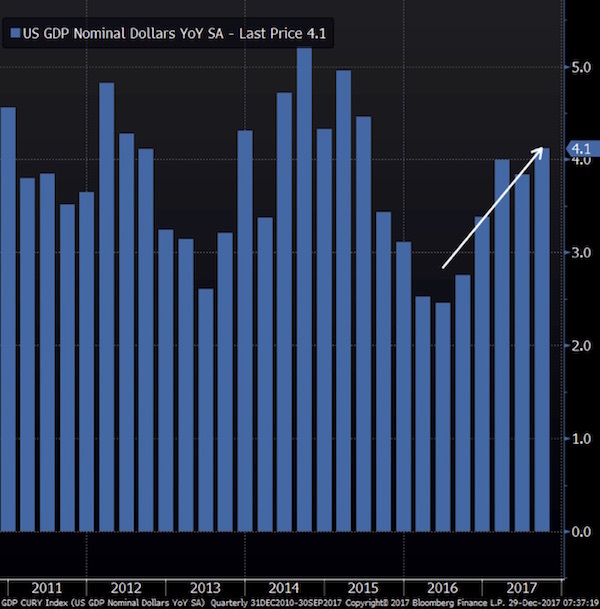 Look at the graph below (hat tip my friend Tony Sagami), which shows the amount of quantitative easing that was pumped into the economy in the last few years. 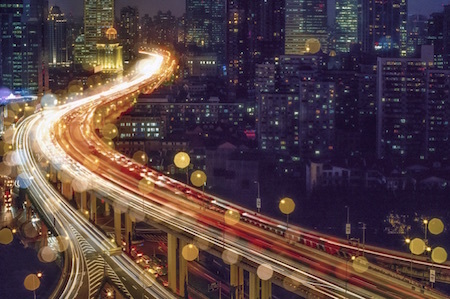 With 2½ trillion dollars of monetary stimulus from the world’s central banks, we still need tax cuts and boosted infrastructure spending to expand the US and global economy? Seriously? Further, their quantitative tightening, which is what it really is, is going to reduce M2 money growth from its current 4% to less than 2%, as Lacy Hunt pointed out to me a few days ago. That slowdown is likely to affect the velocity of money, exerting further deflationary pressure on the economy. It is monetary policy madness to raise rates and undertake quantitative tightening at the same time. Do I think the economy can actually stand three rate hikes next year? Without risking a recession? I think it’s likely that it can. But nobody has anything in any of their models, based on anything like real experience, that predicts what will occur if there is effective quantitative tightening at the same time. This is a real-time experiment. In 2018 there will be almost $1 trillion less global QE than in 2017. What does that mean? We don’t know – and by we I mean you and I and all of our central bankers. I don’t much care what their models say, because their models have been continually, disastrously wrong. They create those models in order to give themselves excuses to do what they want to do, and then they conduct massive monetary experiments on economies to sees what happens. Sometimes everything works out. Sometimes it doesn’t. 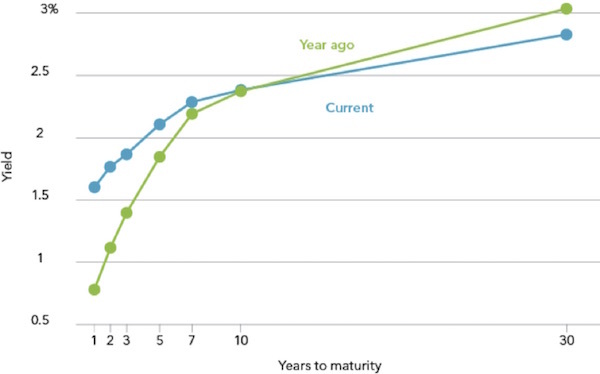 As I’m sure you know, an inverted yield curve happens when short-term rates are higher than long-term rates. I have used the yield curve to accurately predict the last two recessions. But let’s add a note here: A flattening yield curve does not mean there is a recession in our future. The yield curve has to be inverted for a period of time; and since World War II, when we have had an inverted yield curve for a protracted period, we have typically waded into a recession a year later. So even when we get an inverted yield curve, it doesn’t necessarily mean that we should immediately head for the storm shelter. In the last two cases of inversion, stocks continued rising (by over 20% in 2006!) before the general market rolled over and a recession ensued. I recall an offstage debate David Rosenberg, David Zervos, and I had in Florida two or three years ago. They were arguing that the economy would not weaken until we had an inverted yield curve. And my question was, quite simply, “How can we have an inverted yield curve, since the Fed is going to hold rates down almost forever because of the risk of their rising and thereby making the economy worse?” And they assured me that the Fed would eventually get around to raising rates, probably by too much, and that we would then get an inverted yield curve and could start thinking about storm shelters. It looks like they were right. The Fed can control the short end of the yield curve but has limited influence over the long end. Right now the federal funds rate is 1.5%. One-month US dollar LIBOR is 1.57%, and 12-month LIBOR is 2.1%. Do I think today’s economy can stand a 2.25% fed funds rate? Yes, I do. Fortunately, I think another force will counteract the Fed’s actions, at least for 2018, and that’s what I will call (for lack of a better term) the “Trump effect.” Like him or not (and I know from the email I get that many of my readers don’t), the new administration is making some good things happen. I think the combined impact of deregulation, tax cuts, and (possibly) infrastructure spending will push back against the Fed’s monetary tightening and keep the economy on roughly the same course as in 2017. If the Republican tax bill isn’t what you wanted, join the club – I was a charter member. I’ve met with my accountant, and the new law probably won’t help or hurt me very much, but it wasn’t intended to. It was about reducing corporate taxes to help US companies compete with the rest of the world. The headline stories tend to look at the publicly traded giants, but I think the real impact will be on small and mid-sized businesses – particularly exporters and everyone who competes with imports. The lower tax rates will help them expand and even cut prices. Having said that, the tax cuts won’t perform magic. I don’t expect uninterrupted 3% growth for the next decade, as some of the bill’s cheerleaders predict. We will have another recession long before then, and it will probably be a deep one. I have been talking about the new law with senior financial executives of large, privately held companies, my own accountant, and a number of friends. This is going to be like 1986, when everybody figured out how to game the system. You changed from being a C corp. to a sub-S corp. When you look at Thomas Piketty’s fudged and manipulated US income numbers in his laborious and ill-conceived book Capital in the 21st Century (which came out to massive academic acclaim – which says something about economic academia), you see this massive spike in US income in 1986. Did US citizens suddenly get rich? No, companies simply changed from being regular corporations to being pass-through corporations, which massively increased their reported income without actually increasing their real income. I did the same thing. You were an idiot not to. Today we all use LLCs, and it is rare to see a sub-S corporation created today. But I still have that 1986 sub-S corporation as an operating entity. Same difference as an LLC, just different tax reporting. Goldman Sachs estimates the tax changes will boost GDP by an annualized 30 basis points in 2018–2019, then fade away. That seems as reasonable guess as any. The changes will help keep the mild expansion alive and push back against Fed tightening, and I think Trump-driven regulatory easing should help as well. Ask any CEO in practically any industry how much regulatory compliance costs – then stand well back. Now, if my friend GOP Rep. Jeb Hensarling can push through his reform of Dodd–Frank and ease regulations on small banks, we could see an even bigger boost. Regulatory costs are a major expense item, and companies would much rather spend that money on other things like worker training and maybe even pay raises. These same factors will also let public companies distribute more capital to shareholders via stock buybacks and dividends. That should support stock prices at least at current levels and possibly push them higher still. It may not be another 2017-style record year, with numerous sectors gaining 20% or more, but it should be a decent year. Notice that I said “should be.” Events could also conspire to derail that happy scenario. Let’s look at what could do it. 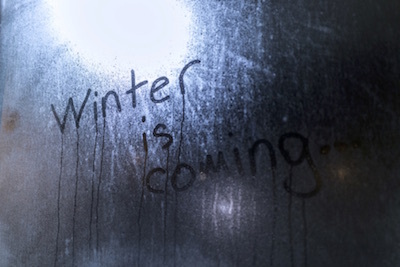 Winter is coming, but not just yet. My more-of-the-same forecast presumes that monetary tightening and fiscal easing will roughly offset each other’s impacts. Of those two, I’m more confident on the fiscal side. I think any error will likely emanate from the Fed – namely, that it will tighten too far and/or too fast. Predicting the Fed’s behavior is especially hard at this point, even with their dot plots, because the cast of characters will change significantly. We can also expect some transitional hiccups as Janet Yellen bows out and Jerome Powell sets his own sail. What could happen that would make the Fed slow its present course of tightening? A sharp drop in inflation expectations should do it, but I’m not sure how that might happen. Energy prices are moving up, food and housing aren’t getting any cheaper, and out-of-pocket healthcare costs are hitting families hard. The low unemployment rate hasn’t yet created much wage pressure, though many economists think it’s coming. I have my doubts. I think we’ll see at least the three rate hikes in 2018, as the FOMC’s last set of dot plots indicated, and maybe more. 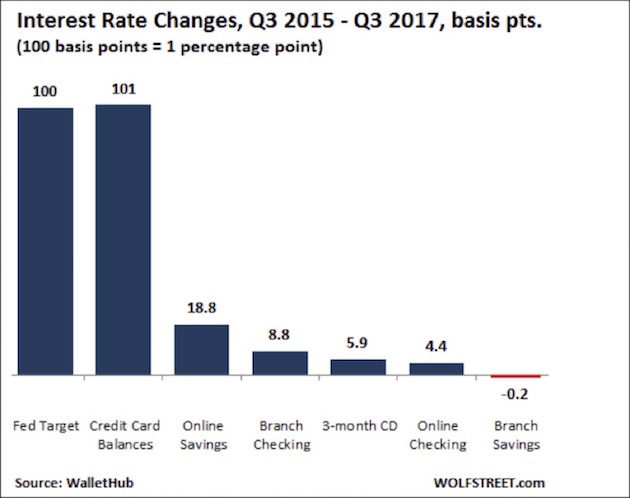 My friend Michael Lebowitz flagged some interesting rate data last week. Fed hikes to date have raised borrowing rates, just as you would expect, particularly for floating-rate loans and adjustable mortgages. That means additional cash outlays for debtors, i.e. most Americans, and less to spend on other goods and services. Normally this added expense would be at least partially offset by higher rates earned by savers, but bank-deposit and money-market yields haven’t risen nearly as much as loan rates have. Current Fed policy is punishing debtors without helping savers. That’s wonderful for bank profits, but the Fed’s tightening may have more deflationary impact than it expects. It raises the odds of a policy error. Fed error is my top domestic policy risk factor for 2018, but it’s far from the only risk. Other central banks matter, too. If the European Central Bank and/or the Bank of Japan decide to follow the Fed’s lead and begin to exit from their own stimulus programs, global liquidity could fall faster than presently expected. The impact would depend on exactly how the policy shifts occur, but markets might shift quickly. Other risks are out there, too. The debt crisis in China; US military action against North Korea; the Middle East conflict, which affects oil and gas production; dueling trade wars – you know the list. Add to it the newest bubble asset, Bitcoin, whose possible collapse would strip a lot of money from people who can’t afford to lose it. A lot could go wrong – but probably won’t; or if it does, the changes should remain manageable. We’ll begin to see the market impact of the tax changes when 2018 trading opens this week. The typical Santa rally ends on the second trading day of the year. The Stock Trader’s Almanac tells us that if we end up on a high on January 3, an extraordinarily high percentage of the time we’ll be up for the year as well. That said, I continue to emphasize that if you have large open gains in some of your holdings and you’re a bit concerned about them, you might want to cash in and buy back at lower valuations. One way or another, I suspect we’ll see a significant correction at some point in 2018. It has been so long since we’ve had a correction that we are due one. Corrections can happen anytime, not just in the midst of economic weakness. Frankly, I think it would be healthy for the Dow to back down by 10% or so. That kind of correction would skim off some of the froth and give new entrants a lesson in humility. I would treat any such weakness as a buying opportunity, especially for stable, dividend-paying companies. You might be able to lock in some good yields. A correction or even a bear market (a 20% drop in the market indexes) that isn’t accompanied by a recession becomes a V-shaped recovery in the market prices. Think 1987 or 1998. Bear markets during recessions are ugly in that their recovery periods are long. The even bigger opportunity might be in high-yield bonds. They’ve not yet begun to retreat. If we get into a real fear-based market that thinks recession is coming, I think we’ll see 15% yields in the junk bond segment. They’ll get even better if recession actually appears. You see opportunities like this in the high-yield market only every 15 to 20 years. When they emerge, you have to put aside your fears and buy for the longer term. The technical charts show nothing but down when that pattern does happen. But a 15% yield and almost 50% capital gain can make that trade a meaningful addition to your portfolio. If you’re holding stocks, investment real estate (as opposed to income real estate), or even more nebulous assets like Bitcoin, I would seriously consider taking some profits in early 2018, with an eye toward getting back in at lower prices when we get a decent-sized correction. That may not happen in 2018, but I suspect it’s not too far away. All that said, consumer optimism is at an all-time high. For whatever reason, all the consumer polls are telling us that it’s “Happy Days Are Here Again.” Note that the song was written in 1929 and debuted in 1930 – just in time for the Great Depression. Consumer sentiment today is a real-time indicator, and as they say, it’s subject to change. But right now, the public is in a good mood, for a variety of reasons. Bluntly, we are due for a correction in the markets, but we’ve been due for some time. And it’s not just the stock markets: Do you realize that the euro has not dropped more than 1% against the dollar for the entire year? Volatility is seemingly a thing of the past. Until, of course, it isn’t. I’m going to close this first of my forecast issues at this point, to keep the letter from getting too long. Next week we’ll review the forecasts of other writers and friends, as I write to you from Hong Kong. The week after I will likely look at more specific markets, such as like energy, and offer additional comments on the tax reforms. But for now, let me wish you the very warmest and happiest of New Years. Shane and I will host close to 100 friends and neighbors on New Year’s Day for black-eyed peas, ham, and cornbread. And lots of mimosas. I think Shane is getting ready to cook about 8 gallons of black-eyed peas. Seriously. And while there will be a small quantity of them for the vegetarians among us, the bulk of them will have bacon, ham hocks, and smoked ham, plus a ton of seasonings; and one of those pots will have a healthy helping of jalapenos. The next day we will fly with Lacy Hunt and his wife JK to Hong Kong, which, I have found out, is the longest flight in the American Airlines system: 17 hours and 15 minutes. It sounds like an opportunity to get some rest and catch up on some work. When I get back, I am going to have to spend the day in Sarasota, looking at a new biotech company that my friend Patrick Cox thinks is extraordinarily promising. Honest to God, as skeptical as I am about government and central banks, I am extraordinarily optimistic about the human experiment. I think our world is going to be so much better in 20 years that the outcome exceeds our imagination. I will have to get to Boston in mid-January to meet with new business partners and do a deep dive into the future of my business. Again, I’m extraordinarily optimistic about what I will be able to provide to you as investors and readers in terms of information, online services, and investment opportunities. More on that front in the future. For now, let’s close out 2017. I am sincerely grateful to have been able to write this letter for 20+ years – and to have had so many of you join me for the ride. When I talk about my one million closest friends, it’s not just idle chit-chat, at least in my mind. When I sit down to write, I try to think of a person I want to talk to and share my latest thoughts with. Not a large audience, not the world, but you. You give me the most valuable commodity in the world, your precious attention; and I try to deserve it by writing the best letter and giving you the most important information that I can. I thank you from the bottom of my heart. As one person who is overwhelmed by the information in his inbox, just as you are, I truly appreciate the value of your input. My best wishes for 2018 – may it be your best year ever. I am ever optimistic this time of year, but I truly believe that 2018 will be my best year. I know that the “best plans of mice and men gang aft agley,” as the Scottish poet Robert Burns wryly observed; but as I have often pointed out, cautious optimism is the best strategy. Betting against humanity and our long-term success has always been a losing proposition. Betting against governments? That’s a different story. But nobody in 2038 will want to go back to the “good old days” of 2018. And as I will be writing in some of my future letters, your chances of making it to 2038 are a lot better than you think. So let’s raise our champagne glasses high in a toast to the New Year and a great future. I look forward to exploring that future with you. Jan. 1, 2018, 1:38 p.m.
We have counterfeit currency, controlled by the Fed. In 1966 median house hold income was $6,900 in silver money or paper counterfeit currency. In 2016, wages in counterfeit currency are up from $6,900 to $53,000. In REAL silver money, wages are down from $6,900 to closer to $2,650 in silver dollars. That is a reduction in REAL wages by more than 60%. Asset owners have taken over the world by inflating their assets with fifty years of counterfeiting. Labor has been wiped out, raising prices for rent, taxes, expenses, on declining real wages. High school graduates and drop outs are exterminated leading to drugs and prostitution, no future at all. Why can’t someone just say it? We are all free slaves working for counterfeit currency and bank computer electrons. Those who own the bank computers make out like bandits, aka Wall Street. Technology helped elites and harmed laborer. Families are dissolving. In 1966, 5% of the children were born to single mothers. In 2016 it’s FORTY PER CENT of our children born to single mothers. For blacks it’s 75%. Blacks are wiped out. Inflation, counterfeiting, “quantitative easing” is wiping out our families. Affirmative action targeting of white males is causing the decline in mortality for white males, ages 44 - 55, but only for high school graduate or drop outs, from 1999 - 2016. This is the social goal of affirmative action ethnic cleansing. It’s unprecedented. Social reengineering of society by globalism, technology, immigration, and counterfeit currency put Trump in office. We have an official policy of counterfeiting currency, selling children into debt slavery, and white high school graduate, drop out, genocide. What kind of a nation and economy is that? Dec. 31, 2017, 7:52 p.m. I would just like to say that I always enjoy reading your letter. Keep up the good work that you do. Wishing you and your family a healthy and peaceful New Year. Dec. 31, 2017, 11:59 a.m.
It’s funny, I don’t see any case where there will be a decline in inflation expectations. Arguably, despite the Fed’s insistence that inflation is too low, the reality for myself, and everybody that I know, is that inflation is rising far more quickly than measured. Rather, I fear that higher inflation will be the story of 2018, rising far more quickly than central banks anticipate and creating havoc as they feel compelled to tighten policy faster than ‘paint drying’. Consider how few traders have ever seen the 10-year at 4.0%, an entire generating have never seen anything above 3.25%. There is a great deal of potential energy stored up for what I fear could be a very significant correction in both stock and bond markets. Dec. 31, 2017, 11:06 a.m.
My completely uneducated guess is that trickle down will start when the stock market goes down. Many investors stayed invested because they wanted all money to be available to grow. Once they leave the market and go cash that cash will burn in their pockets. Google Wajer, Zeelander yachts, xtenders etc to judge the effect.